Seth Godin's blog is among the Internet’s most popular, and an obvious medium for promoting his books. But doing so overtly violates his own "permission marketing" philosophy. For each of his recent books, though, he’s deployed decidedly remarkable methods. 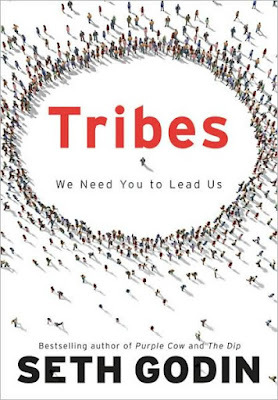 In July, Godin launched a new social networking site, Triiibes.com, a “gated” online community of self-identified leaders, initially open only to those who pre-ordered his new book. It opened to the public, by invitation-only from current members, last week. Lead or get out of the way. Everyone can and should be a leader, according to Seth Godin. Tribes: We Need You to Lead Us. Seth Godin, Portfolio. 160 pages. This is an odd one, even for Seth Godin, a statement he's certain to embrace as the compliment that's intended. He's the guy, after all, who encouraged business people to emulate a mythical purple cow to be unique and highly remarkable. In his last book, The Dip, Godin looked at people who quit and compared them to those who persevere and succeed. But he refused to advise readers to stay with something blindly. In fact, he urged some to quit after making certain that they were doing so for the right reasons. After all, perpetuating a doomed enterprise is hardly wise. The difficult thing, however, is determining when to stay and when to go, and Godin's advice in this area was more than a bit ambiguous. How could it not be, though? Each case — and every person — is very different and unless he published the business equivalent of the I Ching, there'd be no way to cover every possible circumstance. This new book, however, is about an entirely different issue, at least as far as I can tell. The Great and Wise Godin now casts his attention toward leadership, a very timely and worthwhile subject, as the absence thereof is one of the biggest problems we face in just about every aspect of culture, commerce and life. Think about it; research, once a smart tool to gauge effectiveness seems to be mostly used as a crutch, or worse, a mechanism to cover mediocrity and the posteriors of the guilty parties. But doing things intuitively, not necessarily wildly or blindly, is perhaps our greatest strength. Travel to the moon? Sure! We'll work out the details as we go along. Godin encourages this actualized passion and positions it quite wisely as leadership, which is really a great way to put it, as it requires doing not just saying. As usual, his writing is clear, clean and deceptively simple, and he invokes a requisite number of salient examples but doesn't overdo it. Though most of the leaders he cites aren't captains (or even corporals) of industry, they all followed their own bliss, instincts, interests or whims. And some of them aren't even individuals but organizations like the L.A. Philharmonic, which cast a counterintuitive choice as its conductor. This was not an entirely comforting book to read, either, as some of my own shortcomings surfaced, recalling opportunities I'd failed to embrace. There's no DeLorean in my driveway, so like everyone else, I can only travel forward in time. But Godin's plea to lead — even if it's just a matter of leading oneself — is resonant and inspirational.